I really enjoyed opening Goodwin Champions a while back, so here I am with another blaster of it. Getting hits out of these blasters is pretty difficult to do, but it's worth a try I guess! This multi-sport/multi-personality break showcases a variety of athletes and famous people. 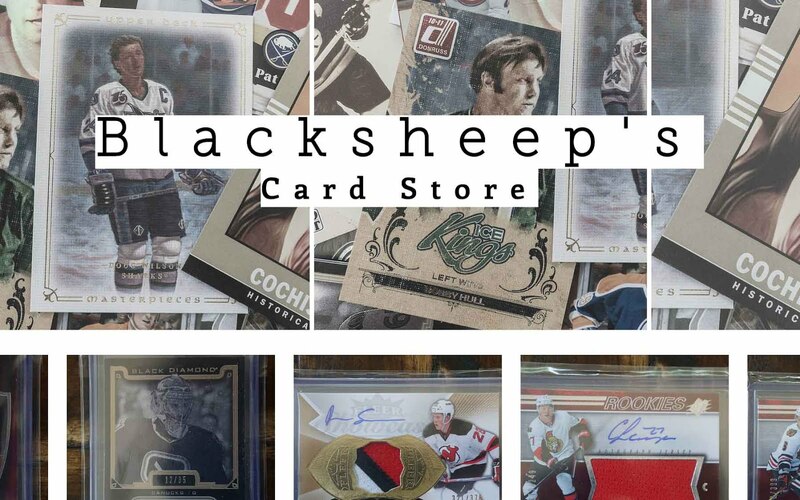 There are chances to pull memorabilia from greats such as Michael Jordan, Tiger Woods, and Wayne Gretzky. That's probably not going to happen with this blaster, as the odds are stacked against me, but you never know unless you give it a shot! Goodwin Champions appeals to the collector with a wide interest in multiple sports. It's a great looking product that uses artistic renditions of it's subjects to make a very classy looking set. Many of the players pictured in Goodwin Champions are captured doing things that may not pertain to the sport they are known for, and some pictures feature players in more candid moments. It's definitely very different from the usual sports card release. I like it, but I'm sure there are some out there that don't for those same reasons. As I stated earlier, getting any kind of hit out of this blaster is difficult. The only guarantee from this blaster will be five mini cards. 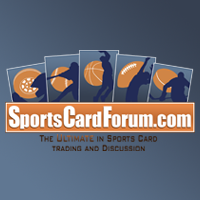 Mini cards are a very polarizing in the hobby. You either like them or you don't. I like mini cards, but I do have an issue with them in terms of storage and protection - sometimes I just don't know where to put them in my collection of cards. This artsy set is beautifully done. The black borders give the cards a refined look, and really help make the images stand out. It's too bad that in the current state of the hobby, base cards are pretty much disregarded. Back in the day, cards with black borders like these would have been treated with the utmost care. Beckett might have even given these cards a condition sensitive qualifier! The main fun in opening Goodwin Champions is to see the huge selection of personalities in it. Some of my more notable pulls were LeBron James, Colin Kaepernick, and Stonewall Jackson. Yep! STONEWALL JACKSON has a card! That's pretty crazy. For those of you who don't know your American History, Jackson was a general for the Confederate States of America. Those were the slave states who broke away from the Union. The American Civil War was fought as a result. I'm not sure why Upper Deck chose to put him in the set, but it was a fun little card to get... very surprising! My mini card pulls were decent. 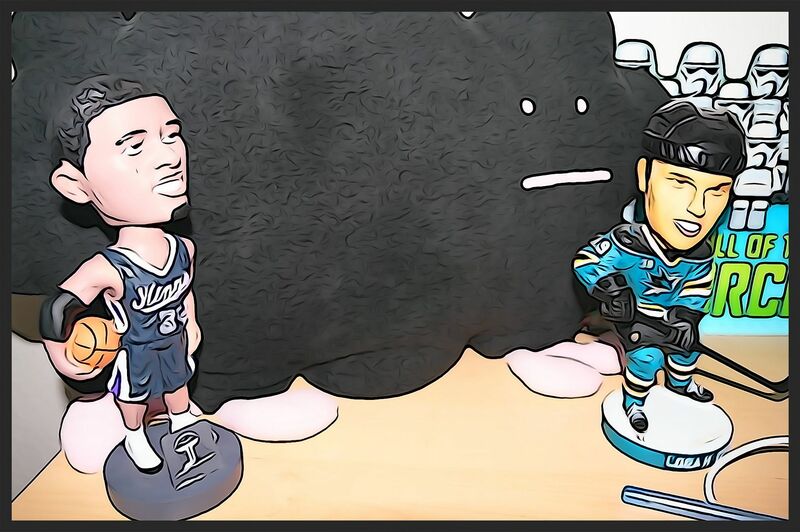 Magic Johnson and Eric Lindros were a couple of the more notable regular minis I pulled. My most unique mini from the box was of Herschel Walker, the famous running back. His card shows him shirtless in a boxing stance. If I didn't know better, I would have definitely thought he was a boxer. Like I said before, sometimes Goodwin Champion cards can be tricky like that! 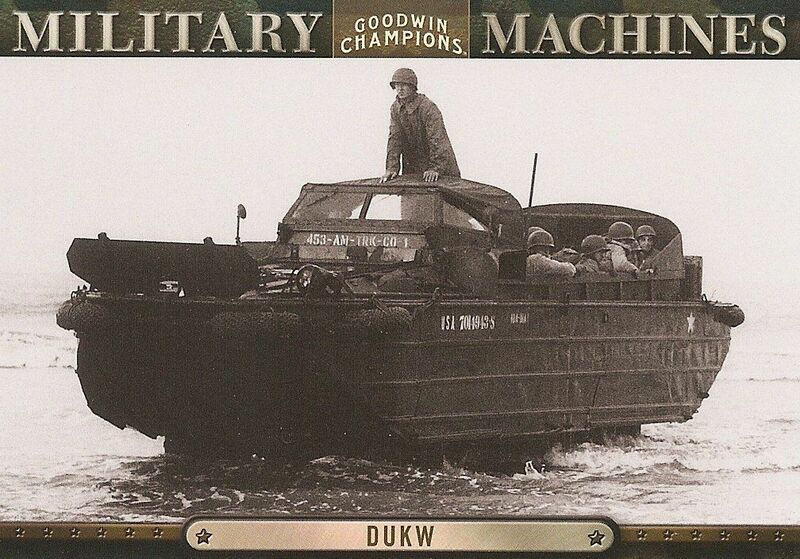 I usually don't like these odd insertions in Goodwin Champions, but this particular military machine looks pretty cool to me. This amphibious vehicle was used to shuttle supplies and troops into battle. Check out the bright yellow shirt on Larry! 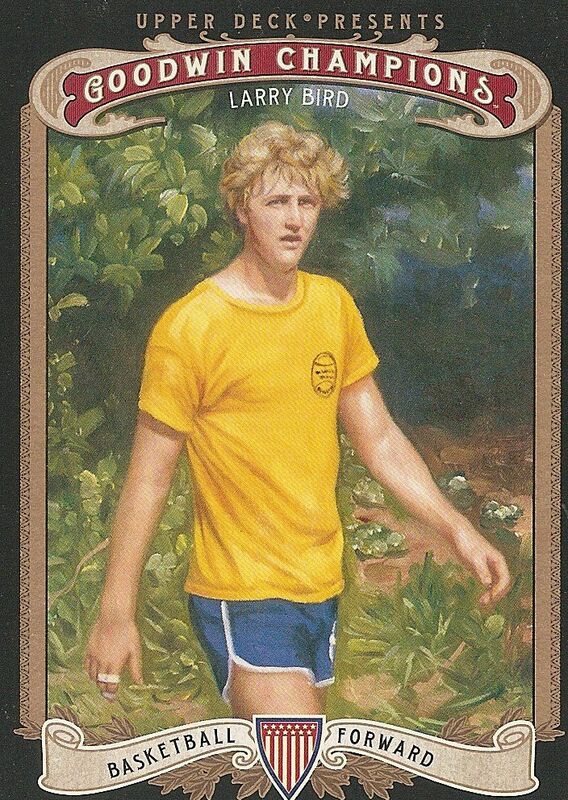 I like this card because it features an image of Larry Bird that you just don't expect to see in a card set. 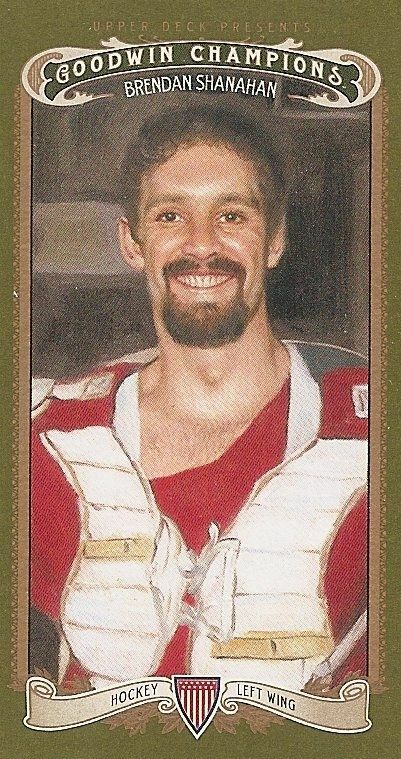 Shanahan gets top spot this week as he's featured on probably the most rare card in my break. Not only is this a mini card, it is a green bordered Lady Luck back. I'm not a huge fan of the image used in this particular case, but like many others, it certainly is a unique choice. 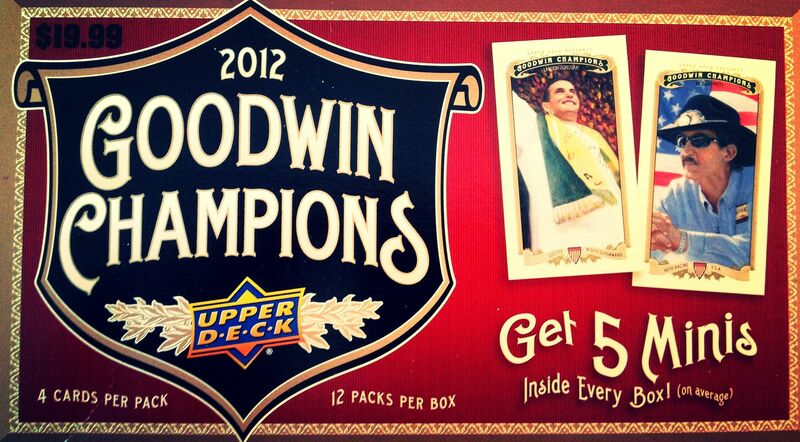 These Goodwin Champion blasters are pricey for what they give you. A hobby box of this same product costs $55 (at the time of this posting) and guarantees three hits. For me, I'd go for the hobby box and spare myself the fear of getting shut out on hits with blasters. I really wish Upper Deck at least put a jersey card in each of these boxes rather than the minis. It would have made these blasters so much more desirable. I mean, jerseys aren't worth a ton anyways, but they certainly would have been a good added value in this case. As it stands now, these boxes are just fun to open... but not great deal. This particular blaster had some sweet players in it, but I think my last one was just a tad bit better. I wonder what will come out of my next Goodwin box... I'm sure I'll break into another one sometime down the line. Let me know what you thought of my 2012 Goodwin Champions blaster in the comment section below. Have you ever pulled anything good out of one of these? I'd love to hear about it. i Know you just did a champion blaster but i hope you open a 2009/10 Upper Deck Champ's Hockey Blaster Box Break for a futur retail review.